An itinerary in time. To the birthplace of Alexander the Great, the land that saw the self-sacrifice of Pavlos Melas. A journey across the ages in the cradle of Hellenism, from the early millennia of the cavemen to the dawn of the twentieth century. 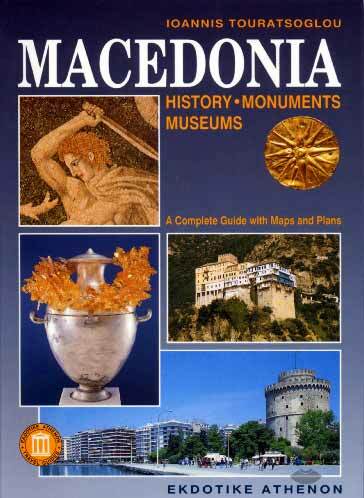 A panorama of art, a mosaic of events, a kaleidoscope of scholarly views on the most important historical phenomena in Macedonia. A host of maps and photographs, from the time of the Archaic smile to the fortress like mansions of Kastoria, from the Alexander's conquest of the East, with its rich rewards, to the victorious advance of the Greek army in 1912, during the Balkan Wars (1912-1913). A nostalgic journey back through the centuries.